If you believe you know a thing or two about soccer, you might be in for a big surprise viewing the film “The Two Escobars,” based on the Columbia Narco football era of the 1980s and early ’90s. During the 1994 USA World Cup, sport fans were shocked to hear that revered captain Andres Escobar’s accidental own goal against the Americans led to his murder just days later by drug lords in the streets of Medellin. This was just the tip off the coke-berg presented by film producer Jeff Zimbalist and his brother Michael who chronicled a documentary (commissioned by ESPN) to produce one of 30 great sport stories for their 30th anniversary. ESPN needed a soccer story and they realized they were thin in the Latin American sector so they chose the American brothers who were presently living in Columbia to uncover the darkest days of sport where drug cartels ruled the game. Unforgettable footage and interviews of shot referees, lawlessness, violence, assassinations of parliament members, judges and national team players bought like candy by cartel leader Pablo Escobar (no relation to Andres) makes this documentary one of the most spell-binding sports films of recent memory. Free Kick caught up with Producer Jeff Zimbalist to share with our readers how he created the film. A lot of people mentioned the story of Andres Escobar. What was appealing to us was not that it had a murder mystery angle going on, but that in order to really understand what happened to Andres and who was responsible for his murder, you had to understand the context of Narco-football, Narco-soccer. It was much bigger than who pulled the trigger, or who was the intellectual author. In order to understand Narco-football, you had to understand the context of Narco in society at that time in Colombia. And as we started looking further into that context, we realized that there was this whole other character here, this Pablo Escobar. One character tells the story of sport and its importance for Colombians and for the nation at the time and the other character tells the story of society. And what was so complex about it was that the usual antagonist here, Pablo Escobar, actually was also the secret weapon behind this mysteriously rapid rise of soccer out of decades of being obscure on the International stage to be ranked the top four in the world by 1994 and be predicted to win the ’94 World Cup. It was a time period there where no one asked any questions. You know the fact that there was elicit money. Society tolerated it, therefore it was tolerated that it was also invested into the sport. In telling the story, it was also important to us to not to just extend the negative stereotypes and common betrayals and representations of Colombia as a hotbed of violence, corruption and drugs because we worked and lived there for quite some time and we actually have a love affair with the country. We have a lot of good friends and most of the people we know are peace-loving and hard-working and moral people, so we wanted that to be a part of the story. Yet the story’s so tragic. We really struggled with it, but ultimately found that Andres Escobar, through telling a story of the portrait of who he was, we were creating a portrait of the vast majority of Colombians: law-abiding, peace-loving, and hard-working who wanted nothing more than to transform that negative image of their country. Unfortunately, Andres was martyred and he did lose his life and it was really tragic. But still to this day he is an icon and a representative and a symbol of a Colombia that is on the up-and-up. Colombia is a country that is working very hard to transform itself. Free Kick: There was such an impressive list of interviewees that you had from government officials, to players, the mafia, the hitman, family members of Escobar. How did you do that? I don’t think we could have got the access you’re asking about or the level of investigative depth or have found as many archives as we found had we not already been working in Colombia for awhile. We had a network, we had a talented fixer who could get access to pretty much anybody in a very dangerous environment. She also advised us on how to approach certain people such that we wouldn’t be endangering ourselves or our subjects. In some cases, she advised us not to reach out to certain subjects at all. There was a little bit of a dance around even the ambition of the film. You always want to weigh that against the safety of those involved. A lot of the great interviews that we did get (we interviewed 37 overall, I believe, from government to sports to crime) didn’t end up in the film because we did feel that it would compromise the subjects. They’re based on many months of building relationships and trust with the subjects, some of whom are extremely distrustful of outsiders because they’ve had very traumatic pasts. Like Pablo Escobar’s family: his sister, his cousin, his hitman. And others who really didn’t like talking about those years because they haven’t revisited the trauma, and they’ve bottled it up and repressed it, and to go back and talk about it meant to go back and re-visit the emotions of losing loved ones. And in some cases we respected that, and in other cases we said well, if you ever feel you want to talk about it, here we are. The more they got to know us, the more they decided this is the time. 15 years later, it’s time to revisit those emotions and once you sat down with them, it all came out. And it came out in a very cathartic and therapeutic way. The majority of these interviews were really important emotional conversations for us and for the subjects. There’s a lot of extra stuff in there that is really interesting. Some people, like the head of the soccer federation, said “I’ll sit down with you guys but I’ll only talk about soccer. If you so much as mention the word Narco, and if you guys ask me a question about Narco I’m going to get up and leave the room.” Within 10 minutes of starting the interview, he was like, all right, here we go and he told us everything about Narco and the reason why he said it was because he realized that you can’t talk about soccer without talking about Narco. Just like you can’t talk about the Chicago Bulls in the ’90’s without talking about Michael Jordan. There’s a fundamental importance to elicit money and strong-arm tactics in telling the story of the rise and fall of the sport. 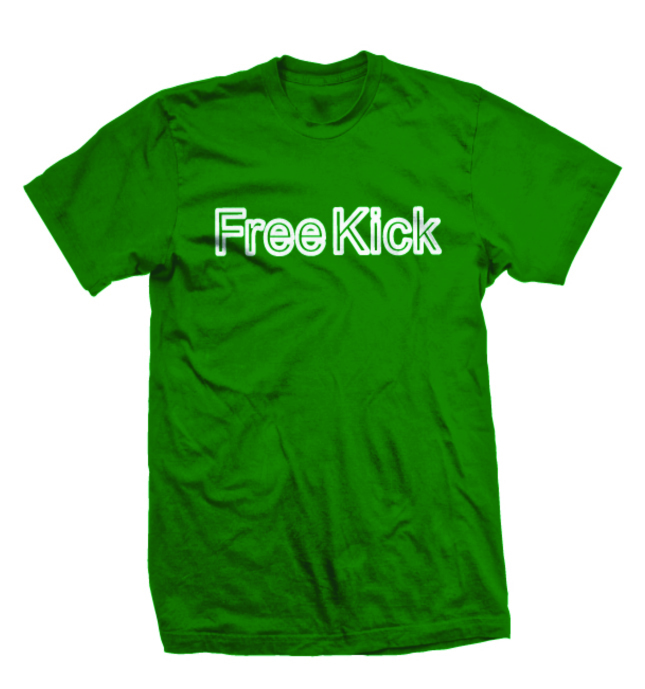 Free Kick: Do you think other federations are run like this in the world? I don’t know. I’m not that well read on the premier league and I definitely don’t claim to be a soccer historian in any way. But I have heard stories obviously and it does seem to me that rich investors in any sport, basically in any industry, the wealthier you are, the higher your chances are that some of your money may not have been accrued through the most legal or transparent ways. Particularly in sports where there’s the flamboyant public expression of wealth in terms of owning a team, that those types or personalities are also the ones oftentimes that are intrigued by alternate ways of making money. So, I wouldn’t be surprised if elicit money, or not the cleanest money, was involved in soccer in other places as well. I would be surprised if people were using the kind of strong-arm tactics that were used in Colombia at that time. Anthrax, the killing of players, the killing of referees, bribes, the buying off of FIFA refs, I hope that that stuff is characteristic of a country in massive turmoil and civil war where there was a culture of anything goes and power dictates, not the law. I would hope that it’s contained to environments like Colombia during those years. Like in the premier league, it’s much more civilized and fair, back-row dealings. Free Kick: You really see the issues FIFA has to handle. Is that all it takes, to have a lot of money and you can create a dream team? There are so many other countries in the world that have a lot of money invested in players, yet Colombia found a way to be 4th in the world. How does that happen? I think you have to have raw talent. Colombia still has raw talent, it’s really interesting that once they lost that investment and they had this government campaign to weed out the illegal elements in sports, then you lose all your best players when they go abroad where they get paid better salaries. You lose your better trainers. You lose your infrastructure. You stop developing players at the youth level. All of those things are necessary to build around raw talent. Let’s say you have an organized club that can play well together and that can keep its best talent at home. Colombia has raw talent. Colombia’s soccer has always been a way of life and a national pastime so kids are playing it and they still have that. What they don’t have is the infrastructure and the economics that would support bringing those teams together and keeping the best talent in Colombia. So the more investment they get and the more people that re-involve themselves with soccer, the better their chances are going to be. They’re still a decent team, they don’t qualify for the World Cup anymore but they do come close. I think that’s based almost exclusively on raw talent. But what happened here is that it wasn’t just the economics that collapsed at the end of the glory years when Pablo and Andres died and the government weeded all the elicit money out. It also was the spirit and the loyalty and a lot of people. When you meet them, when you get to know them they’re a very positive, a very upbeat, happy and honest people. Soccer was a vehicle that represented that to the world and introduced that on an international stage in 1994. But ultimately, it became the biggest humiliation of all, and with the death of Andres, it just extended people’s worst fears. So a lot of people haven’t returned to the stadiums, that’s just because it doesn’t feel like the right place for their passion and their free time. And I think slowly, and hopefully with the processes like this film is generating where people start to re-visit, express and emote this catharsis, we’ll have them return to the thing that they do deeply love and try to reinvent it on a legitimate foundation. Free Kick: Bringing it back to Canada and North America where we have to compete against countries and cultures with this kind of passion and history makes it very difficult for us to qualify. I think it’s really interesting; one of the things that makes me really appreciate soccer is that many games are very psychological and soccer is the chief among them. But the idea that the psychology of a country is what is being represented on the field and you see it time and time again, where a country is at historically, and socially and economically is represented, it’s embodied in how their team plays on the field. It’s a battle of national psychologies to a certain extent. Sport is often thought of as physicality – a battle of brute force. With soccer, it’s: how concentrated is this country, how much turmoil is there, how hungry are they, what do they need as a country, how desperate are they? I hope that by taking soccer into this psychological element to the film, we access a bigger and wider audience in the United States and Canada who don’t necessarily appreciate the sport, and we said to them that this is much bigger than these guys kicking a ball around a playing field. This is an extension of society. By doing so, we here in North America start to appreciate and understand and speak the vocabulary of soccer such that we can begin to communicate better with our cultural and class counterparts. I think that’s what the world needs and soccer is a real vehicle to begin that dialogue. The Two Escobars has already won the Best Screen Play and Editing in Monterey and was an official selection at Cannes. It will be screened at the Vancouver International Film Festival in October. Please see our listing for details. Two Big Toes up!